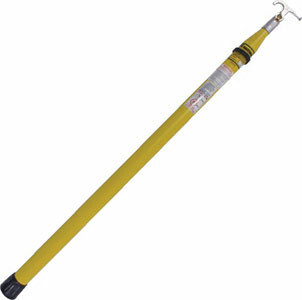 Hastings HV-235 35 foot Heavy Duty �No Twist� Telescoping Hot Sticks have a unique triangular design. Its Triangle shape enables each section to lock in automatically, so there is no need to search for the button. Ergonomic design of the HV-235 Stick gives the operator a better gripping surface for better control. All sections have a smooth glossy surface for routine cleaning and waxing.